In search of a new favorite fitness studio? Hoodline crunched the numbers to find the top workout spots around White Plains, using both Yelp data and our own secret sauce to produce a ranked list of where to venture when you are looking to shake up your fitness routine. Topping the list is Orangetheory Fitness White Plains. Located at 245 Mamaroneck Ave., the gym, boot camp and personal training spot is the highest rated fitness spot in White Plains, boasting 4.5 stars out of 46 reviews on Yelp. The national chain features a 60-minute workout that has intervals of cardiovascular and strength training. It’s centered around exercisers’ heart rates, with each participant wearing a monitor to ensure they’re maximizing their workout and burning calories. 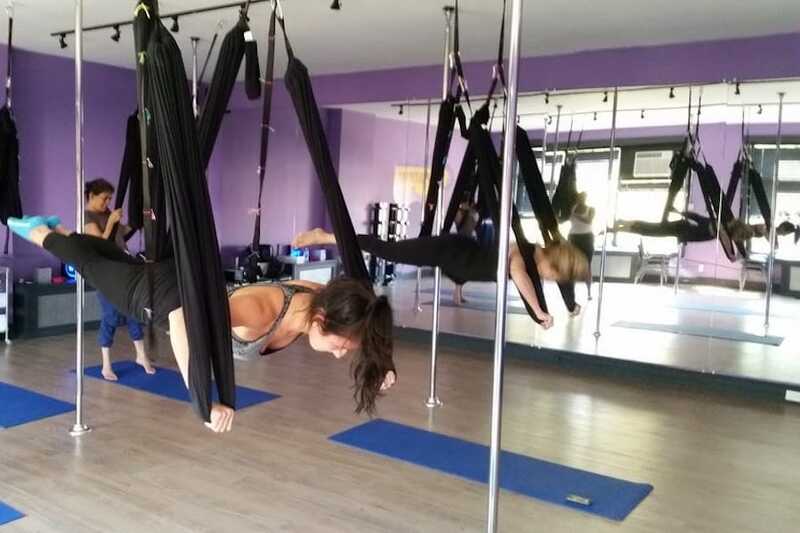 Pole Position Dance Studio, located at 110 Mamaroneck Ave., is another top choice, with Yelpers giving the dance studio, pole dancing class and yoga spot 4.5 stars out of 18 reviews. This unique workout spot offers aerial fitness with pole dancing classes. Pole Position features a variety of different dancing techniques and is welcoming to beginners. “From the very first class, I was hooked. Taking the class on a whim, I fell in love with the spacious, clean and warm environment provided by instructors and students alike,” said Sam T. on Yelp. Blink Fitness is another go-to, with four stars out of 19 Yelp reviews. Head over to 100 Main St. at the Galleria to try the gym for yourself. At Blink Fitness, specific colors are used in the gym to enhance your mood, including a lime green weight room for tranquility. Staff members are enthusiastic and keep the gym clean and organized. Membership plans are available for this location only or for all 70-plus outlets. 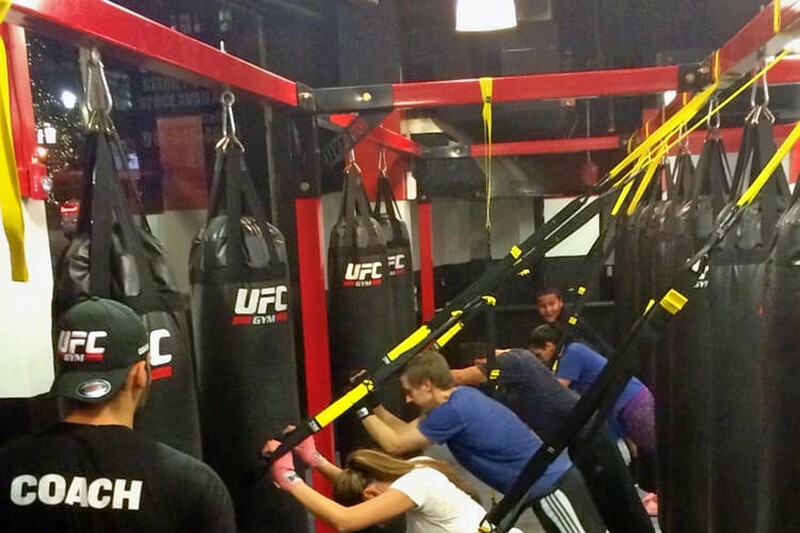 Then there’s UFC GYM White Plains, which has earned 4.5 stars out of 11 reviews on Yelp. You can find the gym and boxing spot at 25 S. Broadway. This UFC Gym offers a wide range of workouts including boxing conditioning, kickboxing conditioning, fight fit and other daily exercises. Learn how to brawl like other MMA fighters with a handful of mixed martial arts classes. Youth classes are also available. 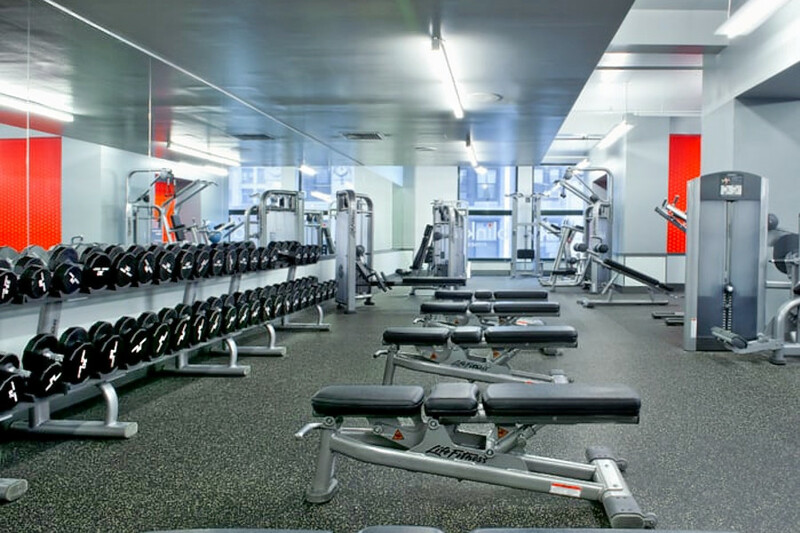 “This is seriously one of the best gyms I’ve ever been to. If you want a gym where everyone is serious about their workout, then this is the place for you,” noted Yelper Erika D.